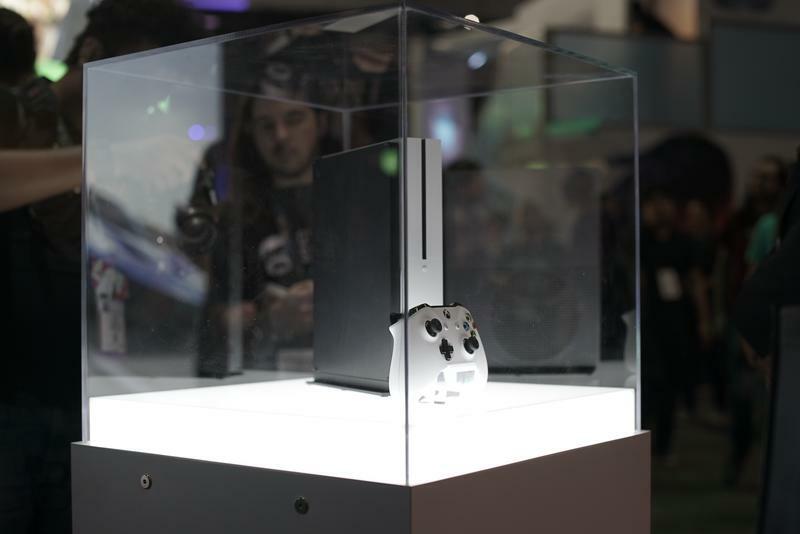 Microsoft's E3 presence this year was, in a way, not too different from their presence back in 2013 when the original Xbox One debuted. 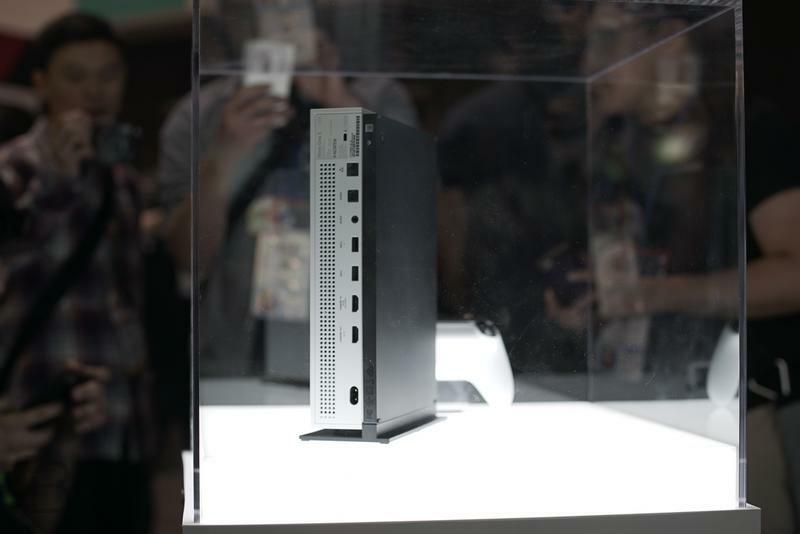 At both shows, Microsoft showed off a console that left people asking, "Who is this for?" The Xbox platform we have now is a much more focused one that puts gaming first and everything second. 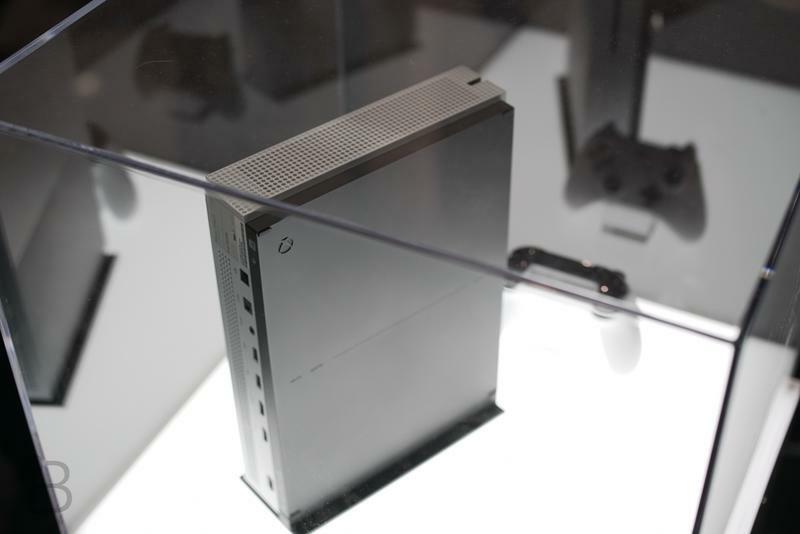 It embraces the Xbox One, Windows 10, next year's Xbox Scorpio, and the Xbox One S, the system that put that question back on everyone's lips. In this ecosystem, where does the Xbox One S lie? 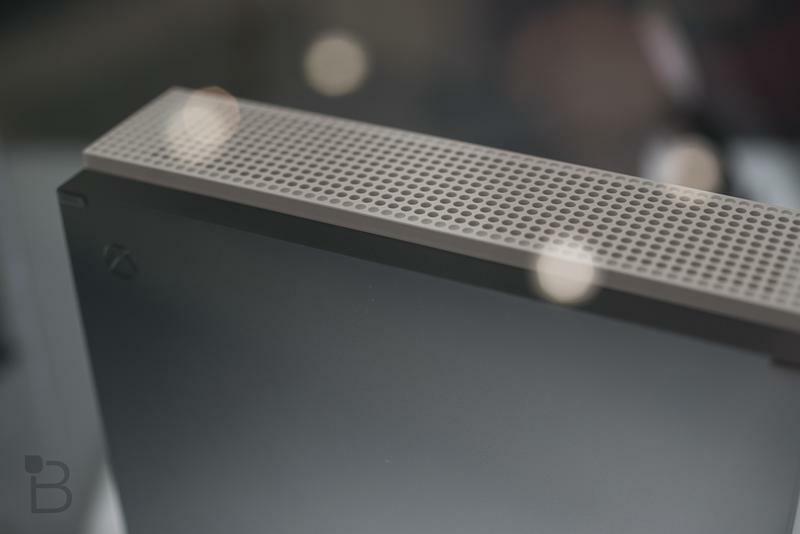 What does it offer that its siblings can't, and is it worth the money Microsoft is asking? That's what we're here to answer. Whether you already have an Xbox One or not, whether you're planning to jump into the growing world of 4K, we've dug in to answer your questions. What if I already have an Xbox One? Let's get this out of the way. 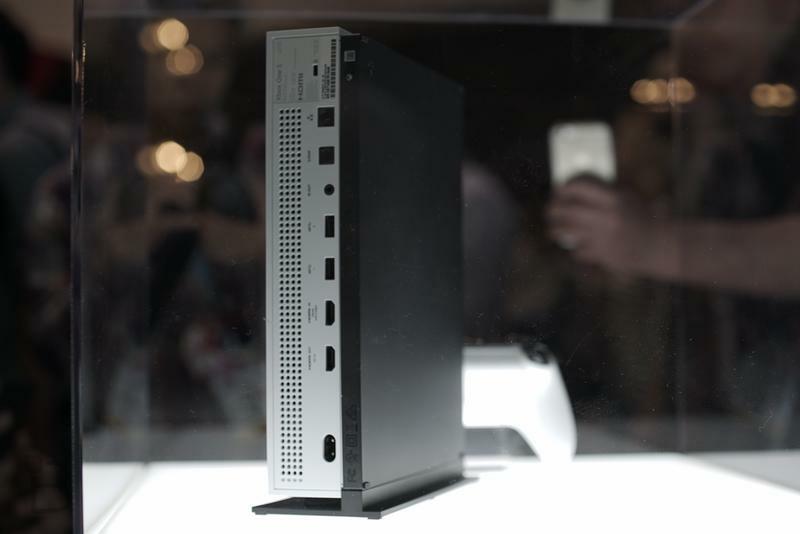 If you already have an Xbox One, you don't need a One S. It has a lot going for it, which we'll get into a bit later. 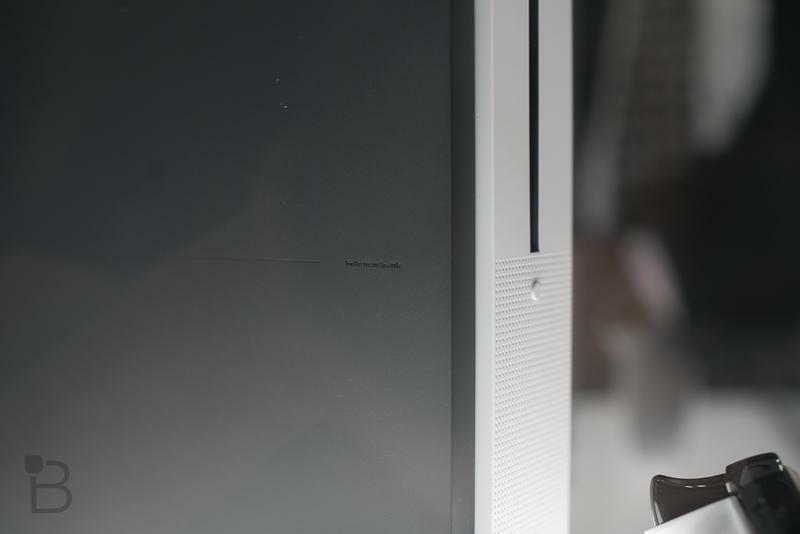 If you have a 1080p television and aren't interested in upgrading that to 4K anytime soon, though, the Xbox One S won't do much beyond save you space. It has a few tangible benefits, but none of them are system sellers. One benefit worth mentioning – it's a small one – is that if you're already one of the 20-some million Xbox One owners out there and you already have a Kinect, you're eligible for a free adapter to connect the camera to the Xbox One S.
Here are some hard numbers to compare the current Xbox One console with the S. I used the Xbox One Elite as a point of comparison, which includes a Solid State Hybrid drive for faster booting and loading. While the Xbox One Elite clocks in, with power brick, at just over 9 pounds, the Xbox One S is 7 pounds – two full pounds less, and 23 percent lighter. I timed the boot sequence from full shutdown to menu time, and here the Xbox One Elite's Solid State Hybrid drive flexed its muscles. 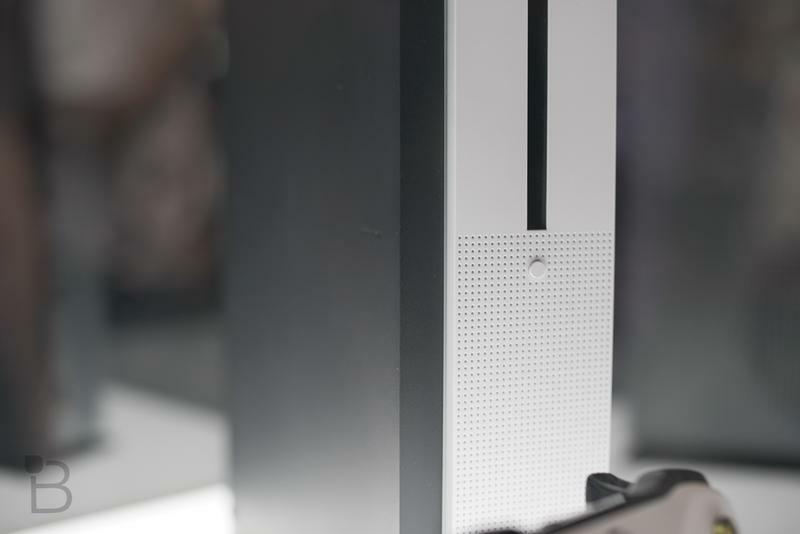 The Xbox One S' 2TB drive is much bigger, but it can't keep up. The Elite booted in about 45 seconds, while the Xbox One S booted in about 1:20. Booting into Forza Motorsport 6 cold took another 40 seconds on the Xbox One Elite, and 50 on the Xbox One S.
Douse the fire on that tech lust and wait for Scorpio, whatever that's going to be. It'll likely be a better use of your hard-earned cash and a more satisfying purchase. What if I don't have an Xbox One yet? Those who haven't yet purchased an Xbox One are one of two core audiences for this beefed up system. 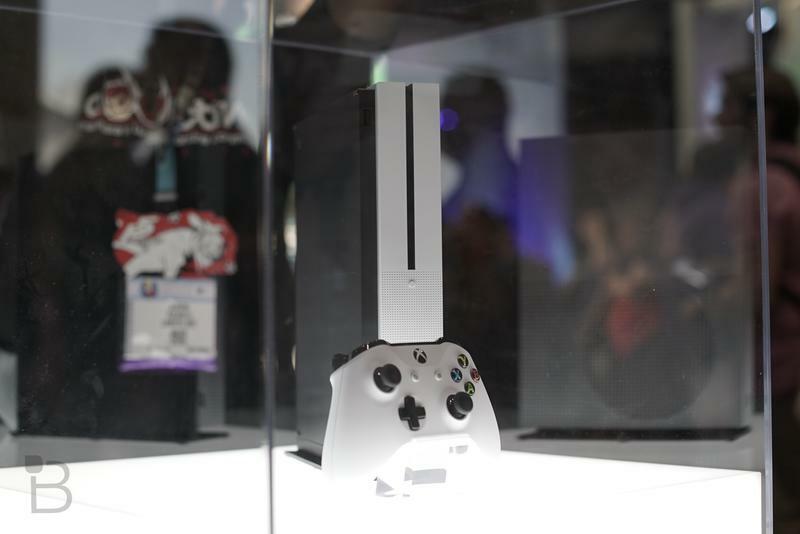 Simply put, this is the best Xbox One yet. Everything about it has been iterated to the limit. If you're on a really tight budget, the original One might still be worth considering, but the One S has enough going for it that I'd recommend dropping a few extra dollars on the system. 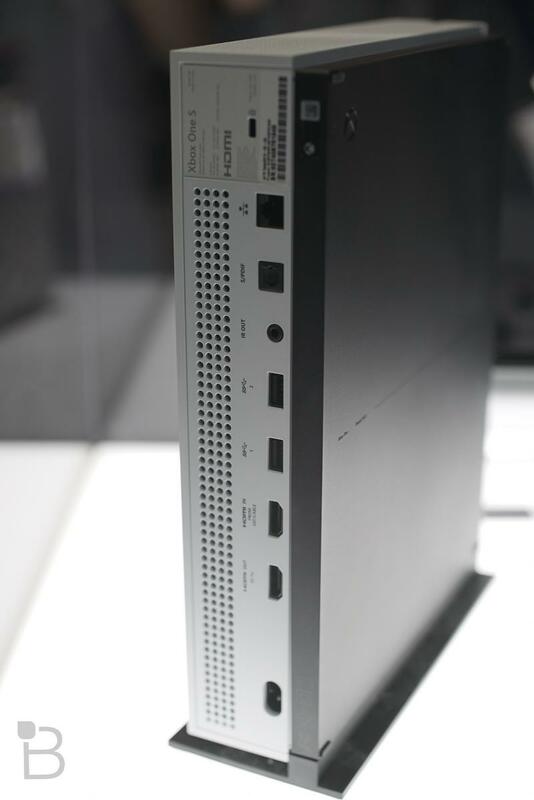 The system's size is quite possibly its most touted feature, and it really is quite a bit smaller. 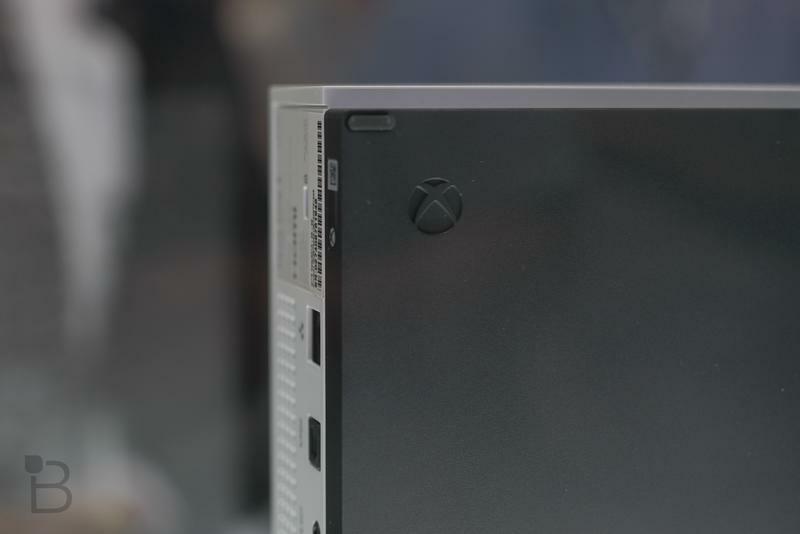 Not only is the console itself quite a bit smaller – comparable in size and weight to the PlayStation 4 – but Microsoft has packed the power brick inside the console. The power brick that came with the Xbox One was massive and that alone reduces the footprint the system will leave in your living room by quite a bit. The old power brick clocked in at almost two pounds and looked more like a Ghostbusters ghost trap than something that should be powering a game console. That's been replaced by a same simple power cord, similar to the one that plugs into the PlayStation 4. 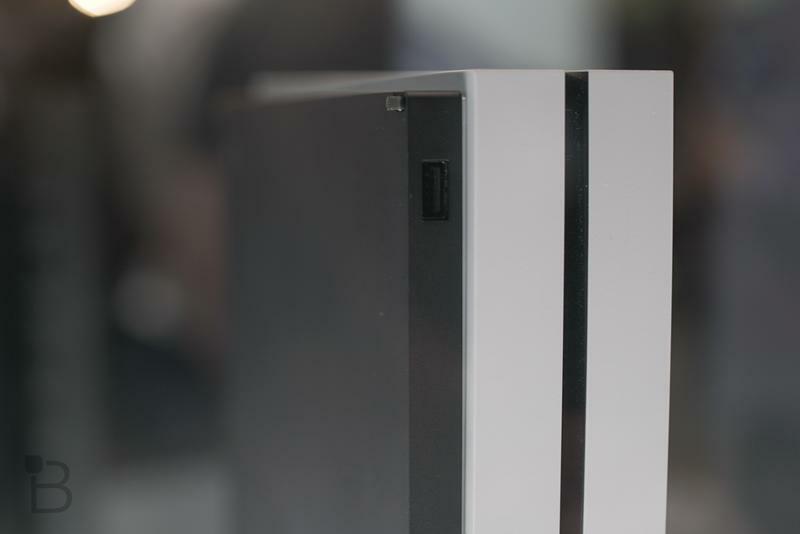 Between the decreased size and the lack of power brick, the Xbox One S has shed about a quarter of the weight of the Xbox One (in this case, the Xbox One Elite in particular). The Xbox One Elite, with power brick, clocks in at just over 9 lbs, while the One S is right around 7 lbs. It also packs the IR blaster that was included in the Kinect into the front of the game console. As long as your Xbox One S isn't behind a door, you can use the system to power on your cable box, home theater, and television. You can also stand it on end instead of being forced to lie it flat. This is a big deal for some people, so it's worth mentioning. 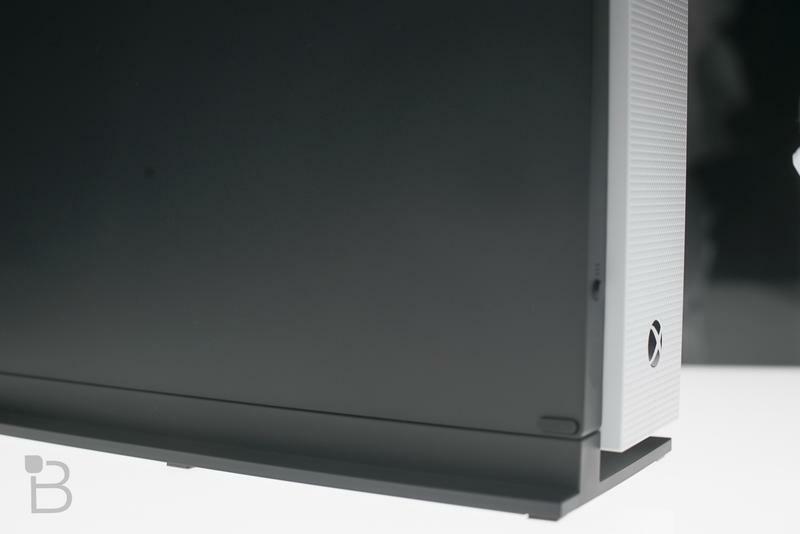 The $399 launch edition we're talking about here comes with the stand that Microsoft recommends you use with it, as well. Separately, the stand is $20. Finally, this is as future-proofed as an Xbox One can currently be right now. New stuff is on the horizon, but this system packs some other features will get into below that make it worth more than the price of a simple game console. What if I have a 4K TV? 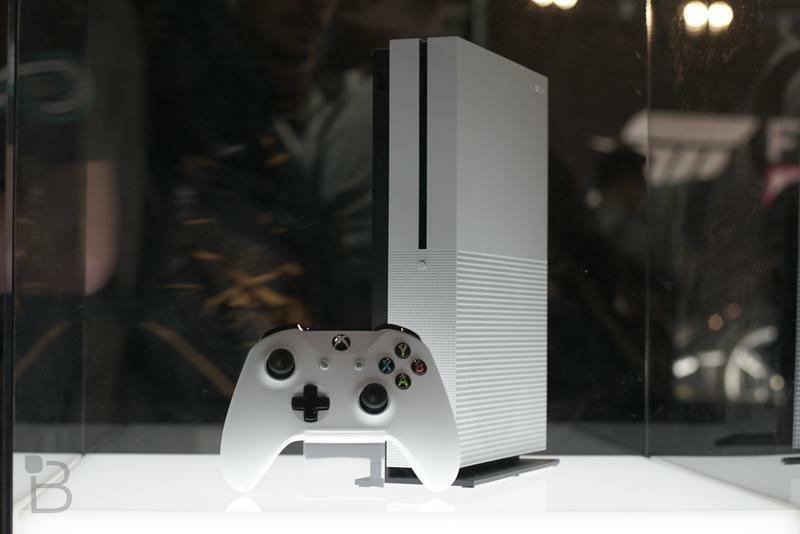 The Xbox One S is Microsoft's first step into the future of gaming. It's not that different from the Xbox One, but there are still some crucial differences. If you have a 4K television, especially one that supports HDR color via the HDR 10 standard, I can recommend this system almost without hesitation. 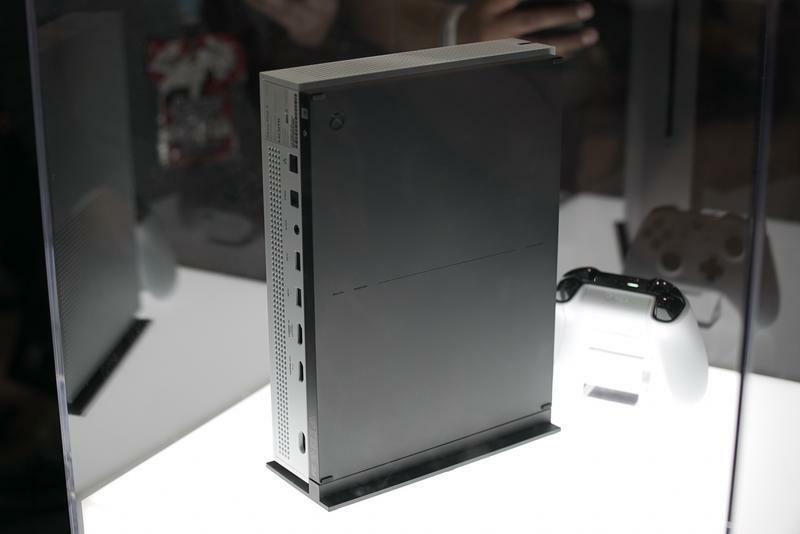 Not only is it everything I talked about above, this is the first 4K-ready game console. That is to say, games upscale to 4K, while Blu-ray discs and streaming video can play at full 4K. If you comparison shop for Blu-ray players that can handle 4K video and HDR color, you're going to be paying around $300 for just the Blu-ray player. Right now, the Xbox One S is, in short, the simplest way to get the most out of the new round of televisions hitting the market. Not only does the system pack all the functionality of one of those ultra expensive Ultra HD Blu-ray players, it also packs an entire game console inside. If you're picking up one of those players, it'd be a shame not to give the Xbox One a hard look. This isn't that different from the same argument that pushed the PlayStation 3. That system was not only a great gaming console, but it was also one of the best Blu-ray players on the market for quite a while. 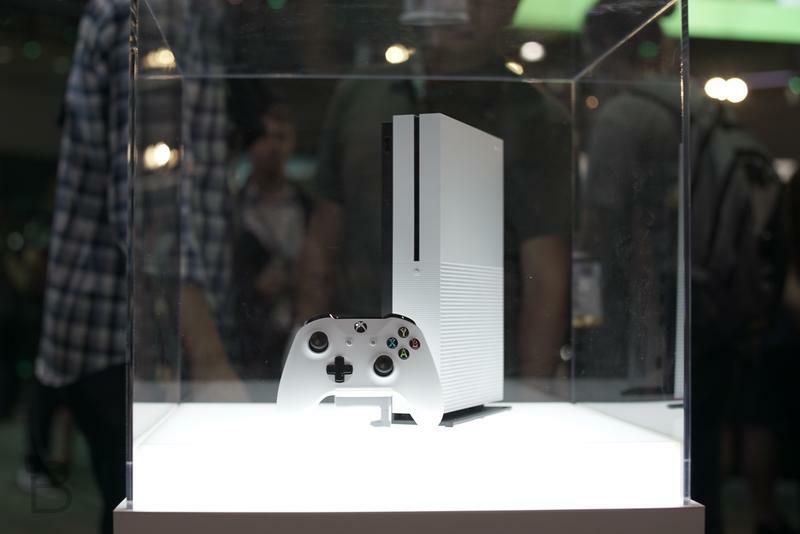 The Xbox One S now sits atop that throne. In that segment of the market, this is really the best deal out there. How was the setup process? For this review, I used the Xbox One S with Samsung's 55″ KS8000 television. The set features 4K resolution and supports HDR10 color. Once I'd enabled HDR on the correct HDMI port on the television and set the Xbox One S to allow for 4K and HDR color, the Xbox took care of the rest. It's worth noting here that while UHD televisions generally have more than one HDMI port, many only have one UHD-compatible HDMI port. 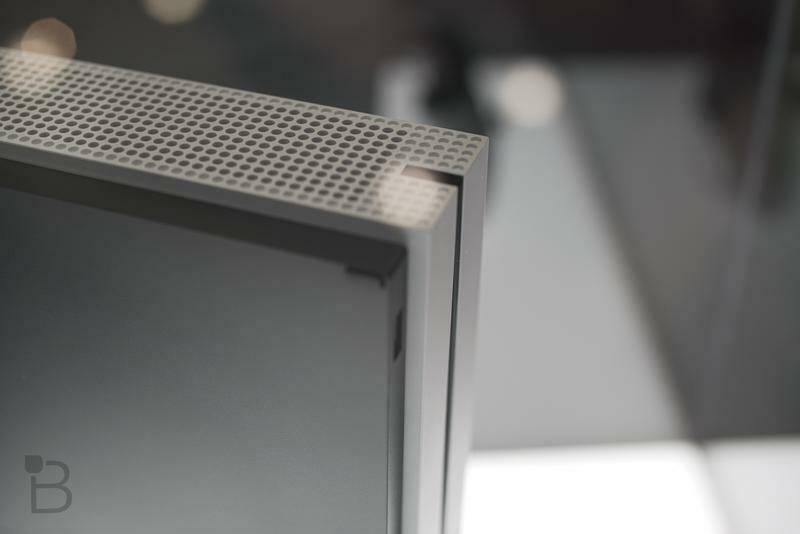 On the aforementioned KS8000, only first HDMI port is fully compatible with HDR color and the other enhanced elements of the Xbox One S.
Thanks to a lot of interconnecting standards, a lot of the setup for way the two pieces of hardware work together was stupid simple. Right out of the box, the Samsung set's remote was able to control the Xbox One menu. It's a simple remote, so it's not terribly elegant, but it works perfectly for simple navigation and getting video going. Netflix already supports 4K video and HDR, so even without opening your wallet for a Blu-ray disc, there's already plenty of content to work every pixel on your set, including Netflix exclusive stuff like the new Stranger Things and Marvel shows like Daredevil and Jessica Jones. You just have to upgrade your account to allow 4K streaming and Netflix will put the 4K video right in front of you when you open the app. The system does require a 4.5GB update when you get it out of the box for the first time, though the update went very quickly for me. The controller, too, requires an update but like the system update, it didn't take too long. While we'd hoped to test out the Kinect with the system as well, Microsoft didn't send the USB-to-Kinect dongle required to connect the peripheral to the system. They did include a copy of the Ultra HD version of 2009's Star Trek, which I watched while testing out the system. Does HDR color make a huge difference? I'm not ready to make a call on this quite yet. We don't have any HDR-compatible games on the market yet, so we're stuck with only video to work with right now. While testing, I watched Star Trek, Batman v Superman: Dawn of Justice, and a variety of Ultra HD content on Netflix. It does look noticeably better, but it's not make or break right now. Games like Forza Horizon 3 and Gears of War 4 will tell us if the HDR part of the equation really, truly matters, as we'll be spending tens of hours with those instead of just two or three at a stretch. 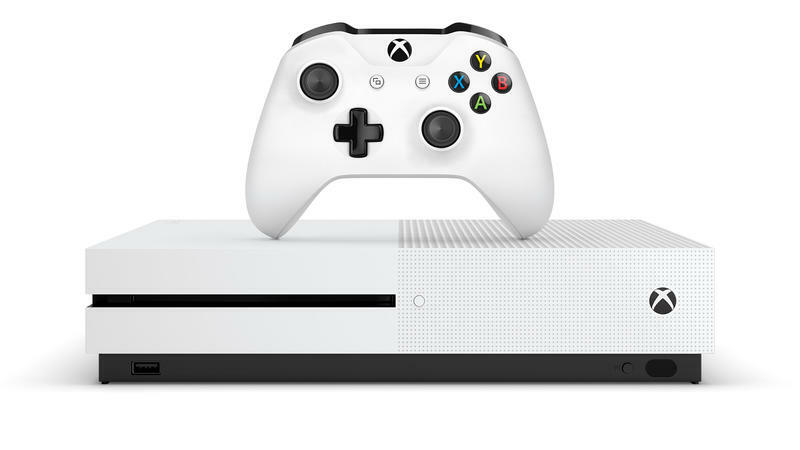 If you're thinking about an Xbox One S and you're either upgrading to Ultra HD or simply haven't jumped on the train yet, the Xbox One S is the best Xbox One yet and quite possibly the best deal on a Ultra HD Blu-ray player out there. If you have an Xbox One already, though? Wait. The substantially more powerful Xbox Scorpio is where it's at. Disclaimer: We received an Xbox One S and a copy of Star Trek on Ultra HD Blu-ray from Microsoft for review. We tested the system with a Samsung KS8000 55″ television.